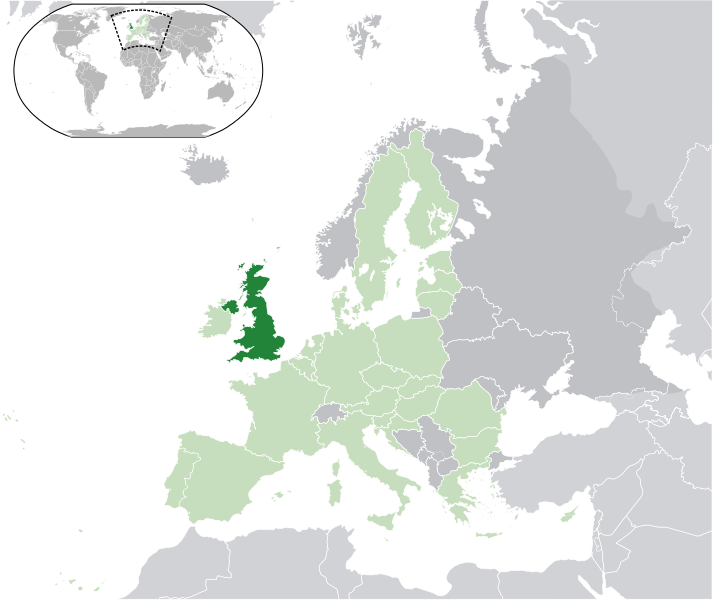 The United Kingdom (UK) consists of England, Wales, Scotland (who together make up Great Britain) and Northern Ireland. The English account for more than 80% of the population. The Scots make up nearly 10% and the Welsh and Northern Irish most of the rest. The UK is also home to diverse immigrant communities, mainly from its former colonies in the West Indies, India, Pakistan, Bangladesh and Africa. The economy - one of the largest in the EU - is increasingly services-based although it maintains industrial capacity in high-tech and other sectors. The City of London is a world centre for financial services. The UK’s geography is varied, and includes cliffs along some coastlines, highlands and lowlands and many islands off the coast of Scotland. The highest mountain is Ben Nevis in Scotland which reaches a height of 1 344m. Home of the Industrial Revolution, the United Kingdom has produced many great scientists and engineers including Isaac Newton and Charles Darwin. The father of modern economics, Adam Smith, was a Scot. English literature has produced an endless stream of poets, dramatists, essayists and novelists from Geoffrey Chaucer via Shakespeare and his contemporaries to a plethora of modern writers such as J. K. Rowling and the Nobel Prizewinner, Doris Lessing. The United Kingdom is a constitutional monarchy and parliamentary democracy. The main chamber of parliament is the lower house, the House of Commons, which has 646 members elected by universal suffrage. About 700 people are eligible to sit in the upper house, the House of Lords, including life peers, hereditary peers, and bishops. There is a Scottish parliament in Edinburgh with wide-ranging local powers, and a Welsh Assembly in Cardiff which has more limited authority for Welsh affairs but can legislate in some areas. There are many regional and traditional specialities to tempt the visitor to the United Kingdom. For example, in Scotland you might try Arbroath smokies (lightly cooked smoked haddock), or in Northern Ireland why not start your day with an Ulster fry (fried bacon, egg, sausage, soda farls and potato bread)? A traditional speciality in Wales is laverbread (seaweed) made into small cakes with Welsh oatmeal, fried and served with eggs, bacon and cockles. A traditional dish from the north of England is the Lancashire hotpot made with lamb or beef, potatoes and onions.